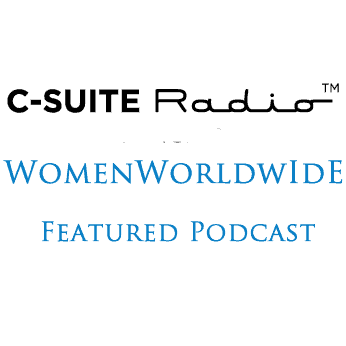 Women Worldwide with Deirdre Breakenridge welcomes Ann Fry to the show. Ann is a catalyst for change and reinvention, a leadership coach and trainer, as well as an advocate for employees with cancer. She is the CEO and founder of The ReGeneration Group, which works with corporations to enhance their culture and to bring out the qualities of leadership in their executives. On the show, Ann discusses what it means to make a BOLD change, whether that is an individual leap or pertains to work work inside an organization. She also shares her thoughts on how to move away from the status quo and the necessary steps to get there, when you’re ready for a new adventure. Ann was also a psychotherapist for 25 years, which gives her a foundational understanding of the operational systems of organizations. Through those years, she developed a sense of humor and transported that humor and knowledge into the world of speaking and coaching. You can learn more about Ann on her website and connect with her on LinkedIn.